The eastern chipmunk is a small furry animal in the squirrel family and are vocal rodents, producing a loud "chipping" noise with dark strips along its back. 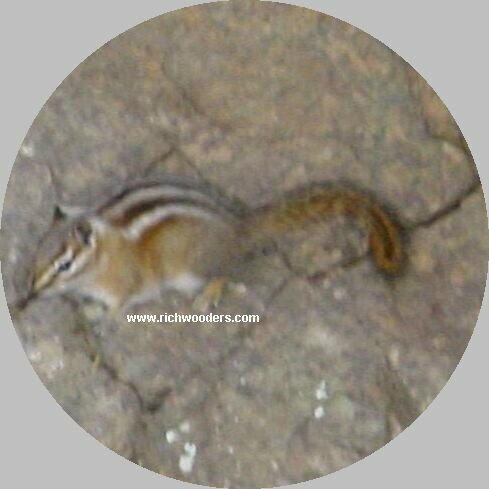 A lovable chipmunk named Richwood well known for its puffy, furry cheeks. Chipmunk forages on the ground most of its time collecting and storing nuts, fruit and seeds for winter. Its rare but they will eat small mammals, birds eggs and sometime small birds, worm, and insects. A small furry animal in the squirrel family named Richwood well known for its puffy, furry cheeks.